When David called Kevin on a freezing night in Minneapolis just after Christmas 1974 he had an unusual request. He was looking for a small-bodied Martin acoustic guitar and he thought Kevin, a brakeman on the railroad and part-time musician, may be able to help. Kevin, a guitarist, called his friend Chris who had a guitar shop in the northern district of Dinkytown and, even though he didn’t have the exact model requested, Chris had one which was close enough. And that is how Chris Weber and Kevin Odegard came to play on the Blood on the Tracks album a few days later. The David was local record producer and studio owner David Zimmerman and he was calling on behalf of his brother Robert – aka Bob Dylan – who had come back to Minnesota with a test pressing of the intended album from recording sessions in New York. But, on listening to them, wasn't happy with what he had on some of the songs. Dylan asked his brother if there were some local musicians he could work with. David picked bassist Billy Peterson and drummer Bill Berg who were jazz-fusion guys (they’d also played on Cat Stevens’ Buddha and the Chocolate Box and with Leo Kottke) and who were the in-house rhythm section at his anonymous-looking Sound 80 Studio in a working class and light-industrial area in South Minneapolis near the Mississippi River. Kevin’s friend Gregg Inhofer – also a fusion player and not that big a Dylan fan, he preferred John McLaughlin’s Mahavishnu Orchestra – was invited to play keyboards. And when Weber brought the Martin guitar down to deliver personally he stuck around. Dylan asked him if he could play he said he could and played a finger-picking instrumental he’d written. Dylan was impressed and asked Weber to play another so he sang an original Come on Home to Me and Dylan said, “That's a nice tune; Ronstadt should do that”. Dylan played Weber one of his new tunes he wanted to re-record which Weber -- – acting as a go-between -- taught to the other players, then the band rehearsed quickly while Dylan and his five-year old son Jakob went the vending machine down the hall. When Dylan came back from getting a coffee and was ready to record the song, Weber headed to the sound booth to get out of the way but in the hope of eavesdropping unnoticed. He was stunned when Dylan said he needed him to play guitar. The session was that hastily organised and impromptu with musicians Dylan barely said more than a few sentences to. 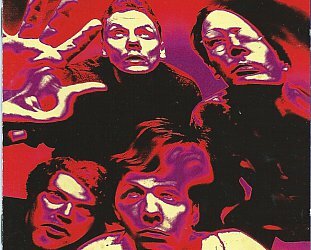 The first one they recorded was Idiot Wind and it would be one of Dylan's most bitter songs and central to the conception of the album which would become Blood on the Tracks. These casual sessions – a quick rehearsal, a few takes – were used for five of the 10 songs on Blood on the Tracks, an album which many read as holding up a prism to his failing marriage with Sara and to aspects of his past. It was the album which confirmed that in '75, and after a few artistically lean years (but a number one album with Planet Waves recorded with The Band), the man once hailed as the spokesman of his generation and the greatest songwriter of his period was back in the game. When the album came out it was pulled together with such haste to meet an established deadline that when the Minnesota recordings were substituted the players went uncredited. They had played on Idiot Wind, You’re A Big Girl Now, Tangled Up in Blue, Lily Rosemary and the Jack of Hearts, and If You See Her Say Hello. Now, with the release of the thumping six CD set More Blood, More Tracks; The Bootleg Series, Vol 14 (Sony) not only are the players credited but we hear Dylan seeking a different vision in Minneapolis he had for his songs, some which had undergone multiple takes back in New York. 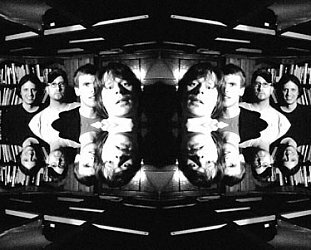 In his brother’s studio with the ring-in band, the aggressive and bitter Idiot Wind for example was done after a quick rehearsal and captured on the fourth take. He’d done much slower and more sympathetic treatments in New York. Tangled Up in Blue was nailed after two rehearsals, in New York he had done more than half a dozen. Yes, there were a few overdubs, but these two Minnesota sessions – December 27 and December 30 – captured the songs quickly and without the casual indifference which would come to characterise other Dylan recordings in the Eighties. Regrettably the only tapes which survive from the Minnesota sessions are those on the album, but in the More Blood, More Tracks deluxe set they have been remixed and remastered. 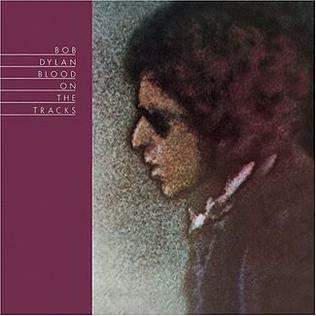 But nearly every outtake, false start and piece of studio chat from the New York sessions is included and we can hear Dylan at work, changing emphasis, lyrics and direction in many of the songs. What is so striking about the New York sessions was how Dylan came in with a complete conception, and – given most of the first versions are simply him with acoustic guitar and sometimes harmonica -- Blood on the Tracks reverts back to his earlier days as a folk singer. 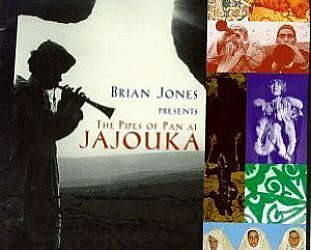 But of course the dense lyrics – jotted down in tiny writing in a small notebook 5x3 inch notebook, reproduced in the box set – are refined, poetic and allusive. There is no sense of time in them, he shifted the narrative focus from first to third person and back again, changed verses and images. His time spent painting and learning from art classes by Norman Raeben showed him how aspects of time and narrative could exist simultaneously within the frame, and he applied that technique in songs like Simple Twist of Fate, a real revelation in the takes in New York sessions where the pace is slow and meditative. The Lily, Rosemary and Jack of Hearts story is convoluted (more so in his notebook) but he sings with such confidence on his first two solo takes, the second a full nine and three quarter minutes long, that it come off like a strange Western film unfurling spontaneously. In the A&R Studios in NYC on the first of four long days in September, Dylan had worked with bassist Tony Brown, steel guitarist Buddy Cage, Paul Griffin on organ and the band credited as Eric Weissberg and Deliverance (guitarist/banjo player Weissberg had done the Dueling Banjos instrumental in the film Deliverance and had put together a small band to capitalise on it). As in Minnesota, all these musicians were given a call to turn up to a studio at short notice, some were Dylan fans, others not so much. They were only there for that first day but it was a measure of their ability to almost intuitively find the spot Dylan was aiming at (listen to them lock in immediately on You're Gonna Make Me Lonesome When You Go) and work quickly as Dylan moved on. Right at the end of the day however most of the band was dismissed and then Dylan did an aching first take of Tangled Up in Blue with bassist Brown, with different lyrics in places from the most familiar version. The following day among other gems was an exceptional six minute, first take of Shelter From the Storm with bassist Brown and piano (by Griffin). The song was nailed on the fourth take. And there's a gentle first take of Buckets of Tears. But if a song wasn’t getting there Dylan would drop it and move on: On the first day in New York he did solo takes of If You See Her Say Hello, then two of You’re a Big Girl Now, two of Simple Twist of Fate, back for one more shot a Big Girl then Up To Me, then Lily Rosemary and the Jack of Hearts (in his songbook as “Lilly”), three stabs at Simple Twist of Fate with the band . . . But the clarity of Dylan's thought process is revealed in these multiple takes, each solo take slightly different in tone as he reaches for how best to present these crafted words, whole verses dropped, words changed. 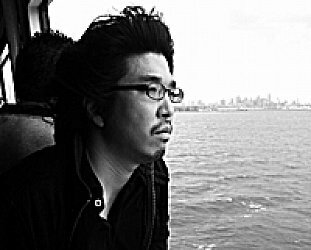 It was a process of refinement but the material was all there when he went into the studio. Some of the internal rhymes in the discarded Up to Me (which is a variant on Tangled Up in Blue) are breathtakingly daring and the kind of thing others would be proud to claim: “If I'd paid attention to what other were thinkin' the heart inside me woulda died, I was just too stubborn to ever be governed by enforced insanity . . .” and “in 14 months I've only smiled once and I didn't do it consciously, somebody's gotta find your trail, I guess it must be up to me”. And yes, you can hear his shirt buttons clacking against his guitar. Late in the first day there were also multiple takes of Idiot Wind (with bassist Brown) and You’re Gonna Make Me Lonesome When You Go with the band. None of these appeared on released Blood on the Tracks but a few (like his solo rendition of Lily Rosemary) were on the test pressing he took with him to Minnesota to listen through to. Then over a cold Christmas in Minnesota that is when Bob Dylan's rethink took place and the phonecalls to local players were made. 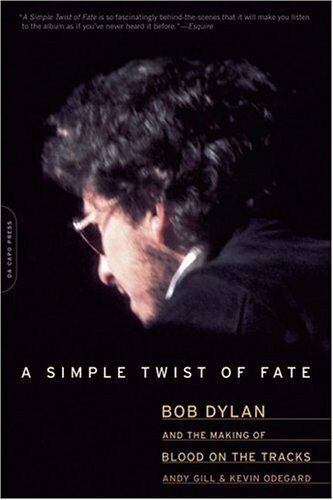 Elsewhere is indebted to Andy Gill and Kevin Odegard's exceptionally detailed and readable A Simple Twist of Fate; Bob Dylan and the Making of Blood on the Tracks (Da Capo, 2004) for some information used in the preparation of this article. For more details on the various versions and track listing for the More Blood, More Tracks release see here. 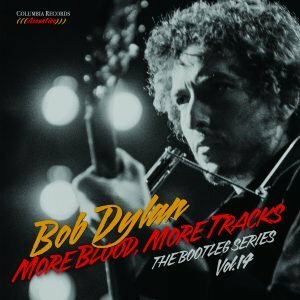 The 6CD full-length deluxe version of More Blood More Tracks includes every surviving take from Blood On The Tracks, including the complete New York sessions. It features alternate versions of Tangled Up In Blue , Simple Twist Of Fate and Shelter From The Storm among the more than 70 previously unreleased recordings. 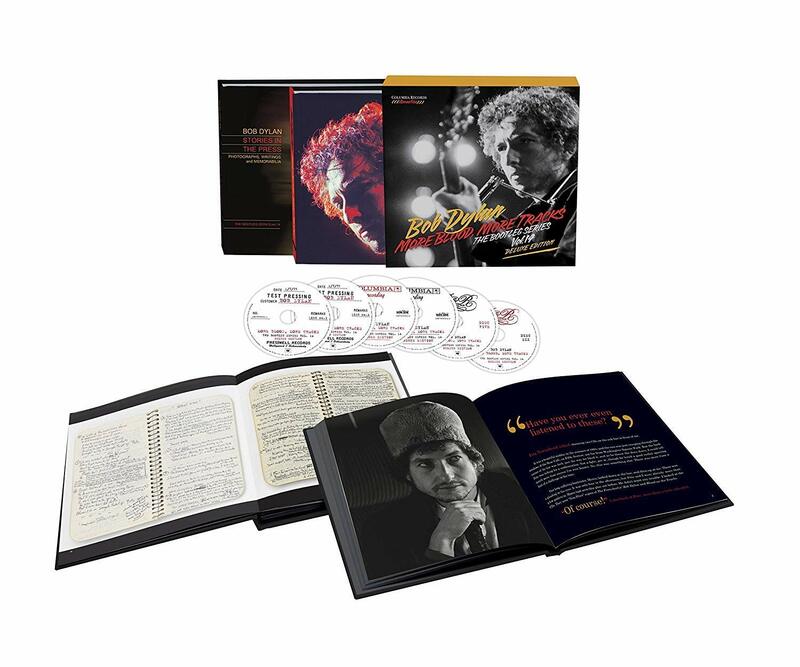 It comes with a hardcover book with liner notes by rock historian Jeff Slate and a complete reproduction of one of Dylan's legendary handwritten 57 page notebooks, where you can follow the lyrical development of the songs. Elsewhere had reviewed a number of releases in the Dylan Bootleg Series, see here. For many other reviews and overviews of Bob Dylan's career start here. Great review, Graham! Can't wait for my copy. 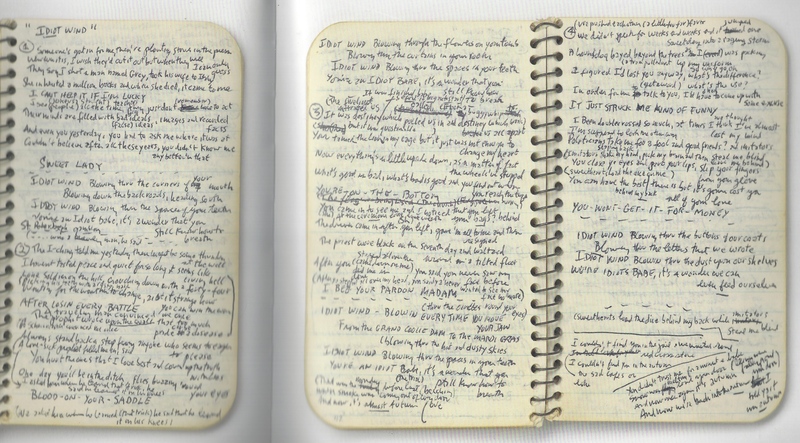 There's a disappointment regarding the reproduction of Dylan's handwritten lyrics in that four pages (one of them blank) were omitted from the book accompanying the deluxe version due to a printing error.